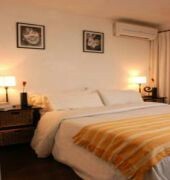 Set in Buenos Aires trendy Palermo Soho district, this boutique hotel offers modern rooms with hot tubs. 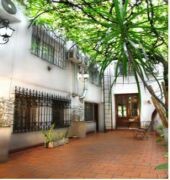 The hotel%u2019s charming garden offers a picturesque retreat in the city. 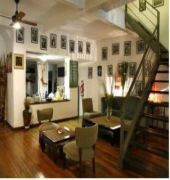 Jam Suites Boutique Hotel is only 3 blocks from Serrano Square and the artisans fair. Major bus stops and Scalabrini Ortiz subway station are located on Santa Fe Avenue, just 10 blocks from the hotel.Rooms are styled in elegant tan and white shades with accents of colour and parquet floors. Some of them feature private balconies. They are equipped with air conditioning, cable TV and minibars.